Note: when originally published, this map was mislabled as showing excise tax rates on unleaded gasoline, not diesel fuel. We've corrected the title and have published a new gasoline tax map. We apologize for the error. 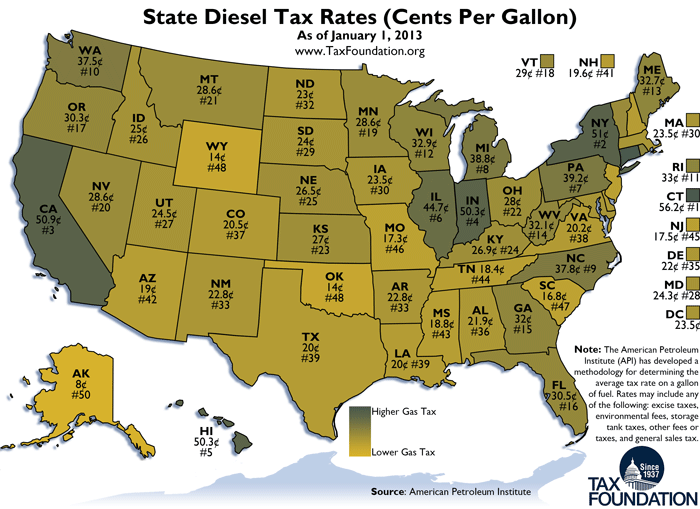 Today's Monday Map shows the effective tax per gallon on sales of diesel fuel.